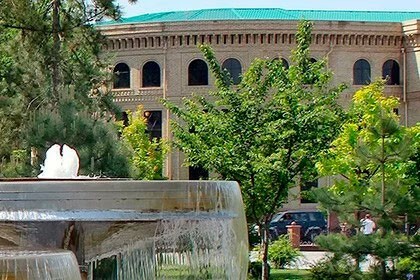 Here is a special brief tour program based on direct flights for our dear guests from Istanbul. 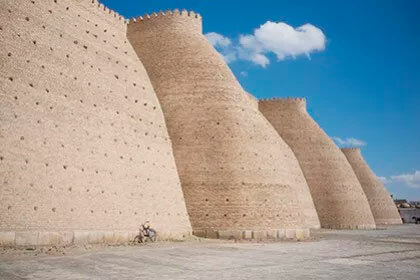 The itinerary includes visiting ancient cities, comfort transportation and hotels located in the historical centres. 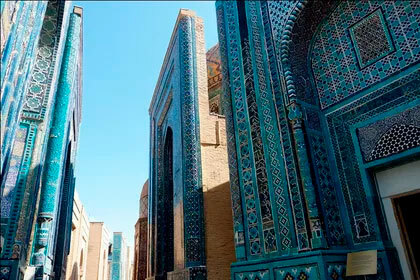 Travelling along Uzbekstan you will learn more about the history and legends of the Great Silk Road cities. 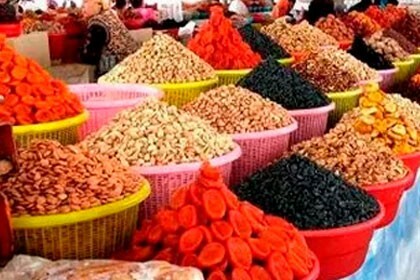 Dates - all year round. 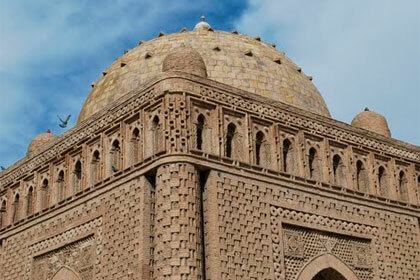 End of tour: Samarkand	 Tour category: Historical tours. 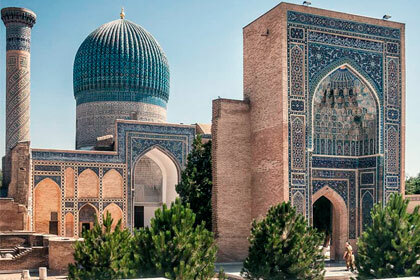 Duration: 5 days / 4 nights Сities: Tashkent, Bukhara, Samarkand. 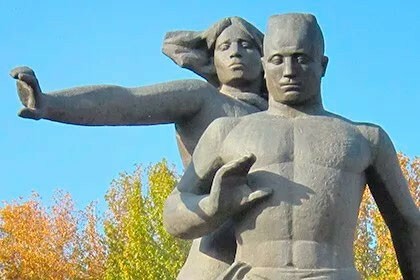 07:15 Arrival in Tashkent. Transfer to the hotel to drop off the bags and meet the guide. 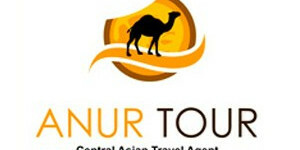 You will have time to discuss the tour program and other details with our company representative. 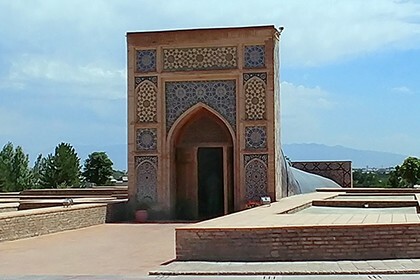 Khast Imam Square – a religious center of the city consisting of the Barakkhan madrasah, Kaffal Shashi Mausoleum and library of Islamic Literature with the Holy Koran Book of the VII century. 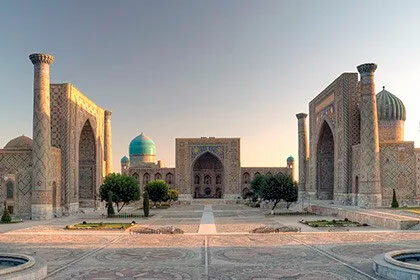 07:30 Departure for Bukhara by high-speed train "Afrosiab". 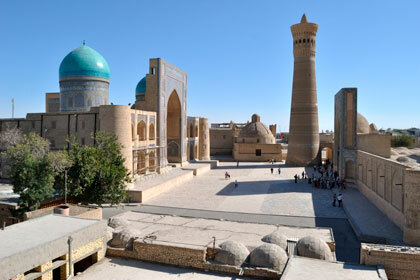 11:17 Arrival in Bukhara. 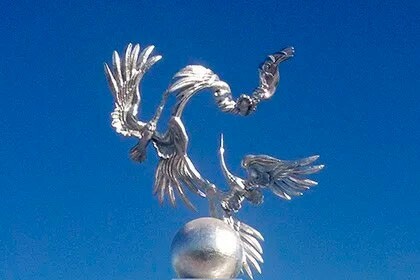 Meet the driver. Transfer to the hotel to drop off the bags and meet the guide. 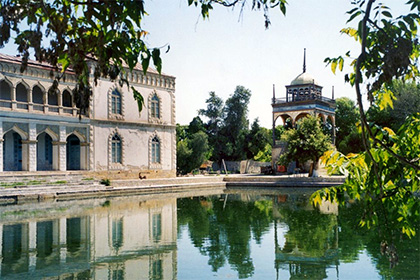 Poi Kalon Square with Kalon Minaret and Mosque, Mir Arab Madrasah. 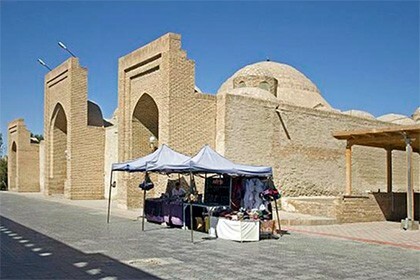 There are three trading domes or so called covered bazaars preserved from the XVI century and these bazaars were the centers for trade of silk, jewelry and even for money exchange. 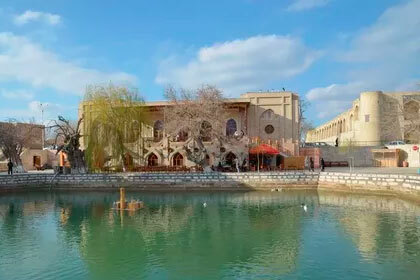 Today, as well, one can purchase different souvenirs of a wide range, from small souvenir magnets to the famous Bukhara carpets. 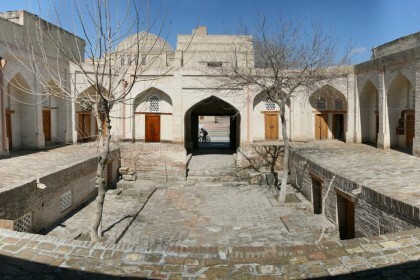 Lyabi Hauz (Nadir Divanbegi Madrasah, Khanaka, Kukeldash Madrasah and monument of Khodja Nasreddin). 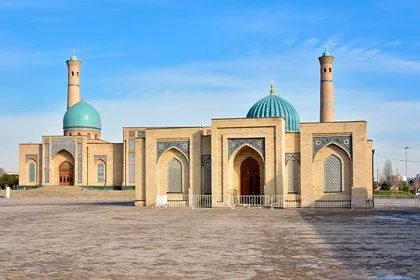 09.00 Countryside trip includes visiting the last Bukhara's Emir's summer residence "Sitorai-Mokhi-Khosa"
and Bakhauddin Naqshbandi mausoleum (the founder of Naqshbandi Sufi Spiritual order). 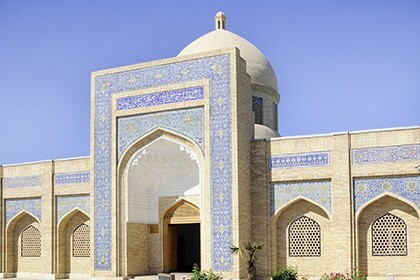 Located near Bukhara, the memorial complex of Bakhauddin Nakshbandi is considered as one of the most significant religious places of Bukhara that attracts pilgrims and visitors. 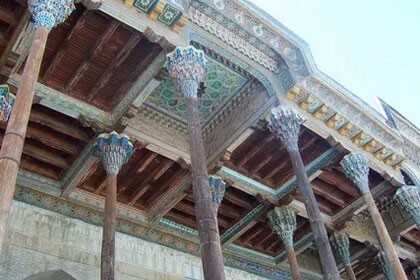 This complex impresses with its incomparable style of oriental architecture, which reflects the spirit of the Sufi Order. 14:50 Transfer to the train station. 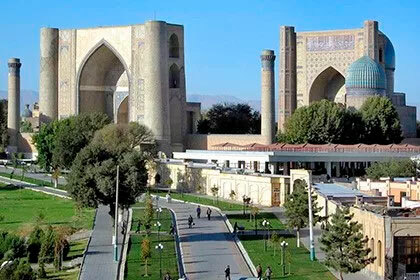 15:52 Departure for Samarkand by high-speed train "Afrosiab". 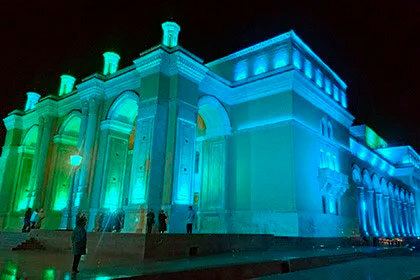 17:25 Arrival in Samarkand, transfer to the hotel. Overnight. 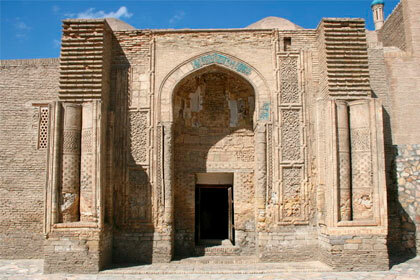 09:00 Start sightseeing in Samarkand. 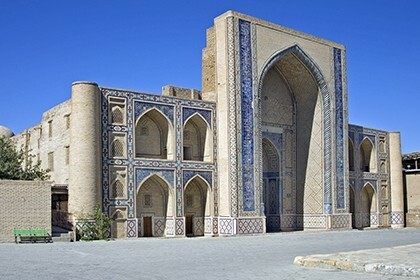 Visit to the famous Registan Square – heart of Samarkand and real masterpiece of Central Asian medieval architecture, consists of three grandiose buildings: Ulugbek Madrasah, Madrasah Sherdor and Madrasah Tilla Kori. 03:30 Transfer to the airport. 05:35 Departure flight TK 373. Train ticket Tashkent-Bukhara, Bukhara- Samarkand (" Afrosiab" economy class). Train ticket Tashkent-Bukhara, Bukhara- Samarkand ( " Afrosiab" economy class).